Surface Tension by Mike Mullin features dynamic characters fighting for their lives in a compelling plot of murder and mayhem. 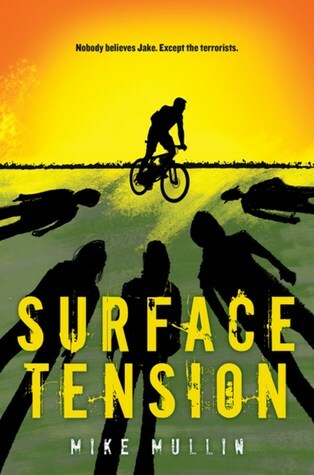 There are many elements to praise about Surface Tension, including its interesting premise and well-told story. There were also a few things that made me scrunch my forehead in frustration. These included hard to believe elements in the plot line and character behaviors, forced dialogue, and a nonlinear timeline. A nonlinear timeline by itself is not an issue; however, in Surface Tension, when the point of view would shift from Jake to Betsy or vice versa, sometimes the story would jump backward in time, which often left me confused and forced me to read the passage again.